It seems like the whole world has gone mad. His dad's obsessed with gas, his best friend has come down with a case of hormones and his brother is in dire need of deodorant. Looks like there's going to be quite a stink. Is life still unfair for Norm? ABSO-FLIPPING-LUTELY! 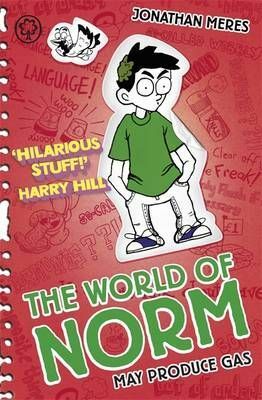 Jonathan Meres follows up May Contain Nuts and May Cause Irritation with another laugh-out-loud story about Norm, a boy who can't understand why everything always seems unfair...An award-winning, laugh-out-loud series for fans of Diary of a Wimpy Kid and David Walliams.